Mumbai, Jan 26 (IANS) In an unprecedented gesture, India on Saturday accorded the status of ‘Special Guests’ to Mauritius Prime Minister P.K. Jugnauth and his wife Kobita at the Republic Day celebrations here, official sources said. The Jugnauth couple witnessed the unfurling of the National Tricolour by Maharashtra Governor C.V. Rao, inspection of the ceremonial parade and other events that were held at the state function held in Shivaji Park. An official said that usually India hosts a foreign head of state or government or royalty as Chief Guest at the Republic Day function in New Delhi. 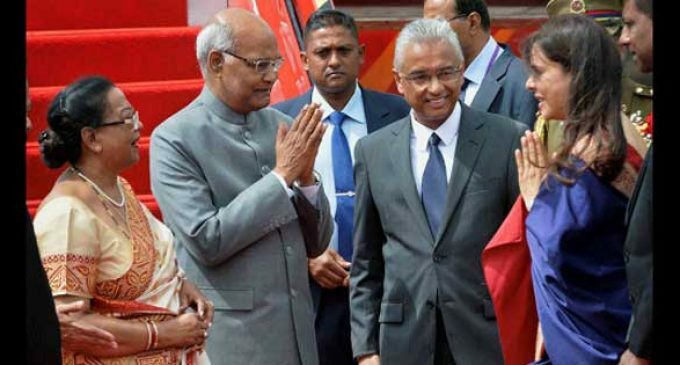 However, this time, the Mauritius PM was in India for the Pravasi Bharatiya Divas 2019 and later on an official trip to Mumbai where he had a series of programmes to attend. “The Government of India suggested they should be invited as ‘Special Guests’ at the function here,” an official requesting anonymity told IANS. Present with the visiting dignitaries and Rao were Chief Minister Devendra Fadnavis, Maharashtra Assembly Speaker Haribhau Bagade, Mumbai Mayor Vishwanath Mahadeshwar, diplomatic corps stationed in Mumbai and other senior officers. 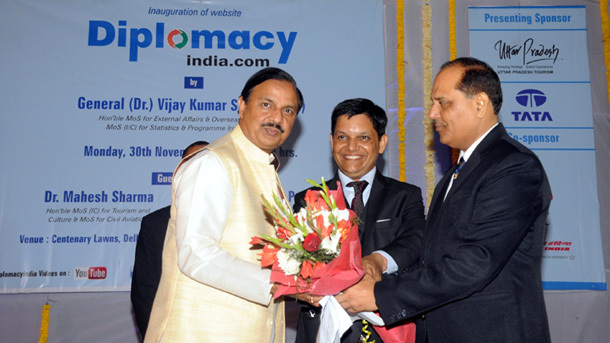 Later, Rao delivered his official address highlighting the state’s achievements in different sectors. Disciplined columns of Indian Navy, Indian Coast Guard, Central Industrial Security Force, SRPF, Mumbai Police, Riot Control Police, Women Police, Railway Police, Traffic Police, Fire Brigade, BMC Security Forces, Forest Department, NSS, NCC, RSP, Bharat Scouts & Guides, bands of various forces and others presented a march past on the occasion. Floats of various departments were taken out on the occasion. Special functions were also held at other central and state government departments, including Central Railway, Western Railway, Konkan Railway, district collectorates, schools, colleges and housing complexes.